I've worn silver bangles my whole life. I don't remember my mum putting on my first baby bangle but I wore it until it couldn't expand anymore and pinged off when I was about 18. It was replaced by this one which I have worn ever since. That was joined in my 20's by an armful of wide victorian style bangles. 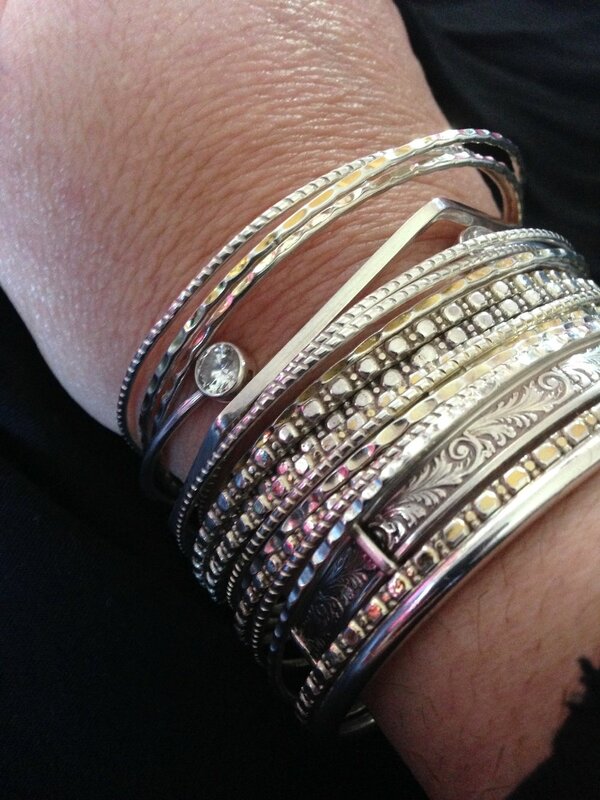 Above is my 'regular' arm and below my 'remix' arm where I allow different bangles to live. She was at the Drygate market at Christmas time and Lady Sandra bought me a wonderful irregular shaped bangle. 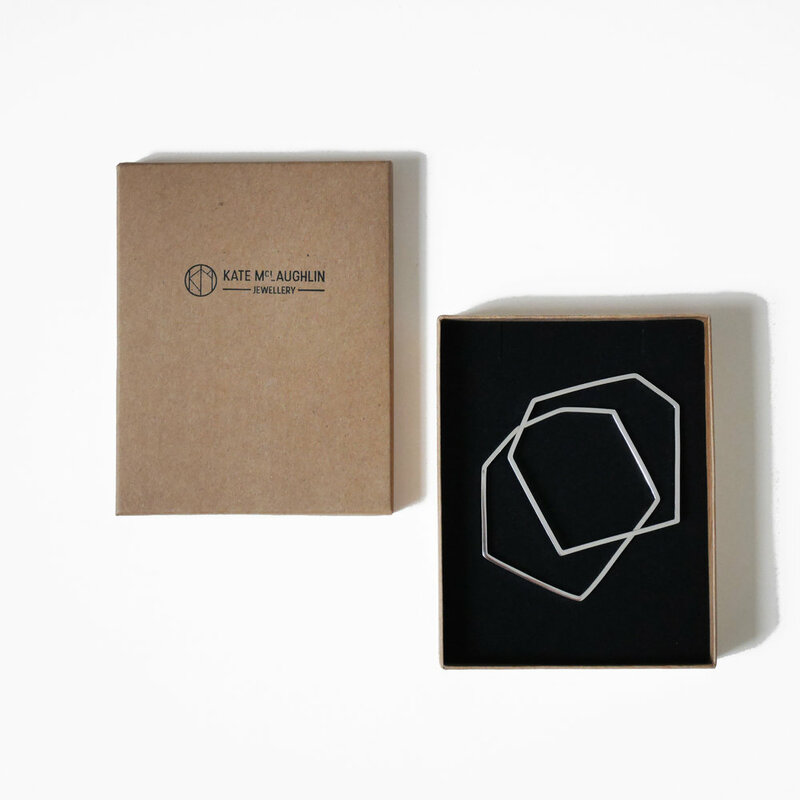 Kate specialises in handmade architectural jewellery which is simple, bold, distinctive.